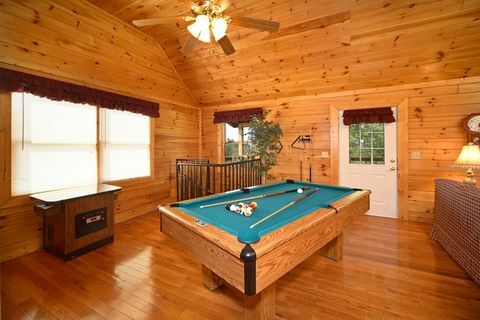 Step into your honeymoon cabin near Gatlinburg for a "Royal Romance" setting you'll long remember! 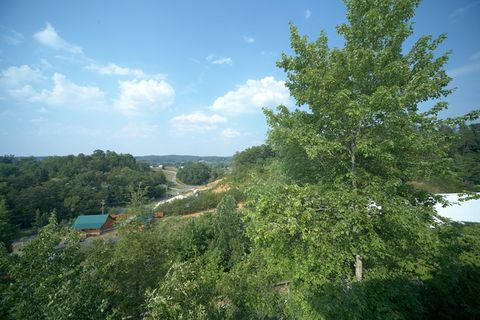 Enjoy a romantic Smoky Mountain cabin less than a mile from the attractions, dining, and shows of the Pigeon Forge Parkway. This is the perfect cabin getaway for couples on honeymoon or returning to the Smokies for a weekend escape from the everyday. 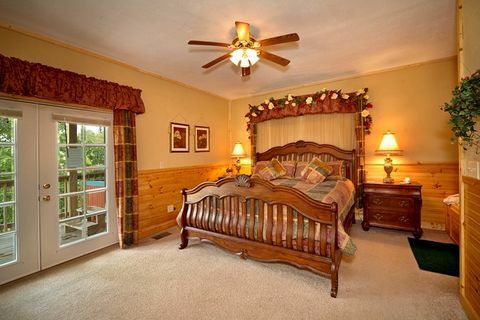 Imagine stepping into the spacious king suite and lounging in the king-size bed. 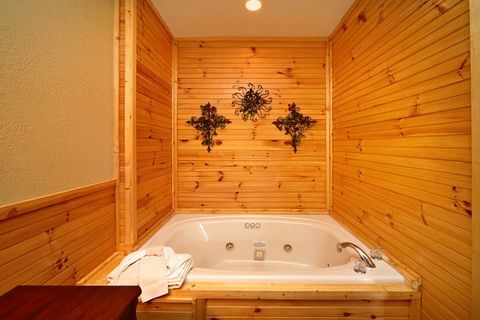 Unwind in the warm waters of you jacuzzi bath tub in the king suite or outside under the stars in the hot tub. 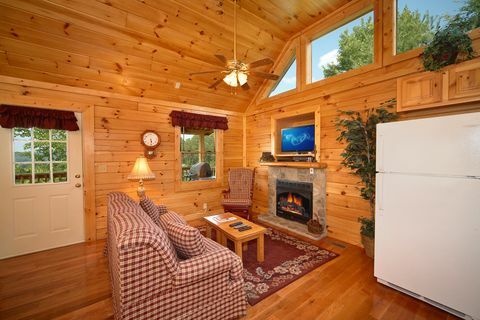 On cold nights, cuddle in front of the warm glow of your cabin’s fireplace. 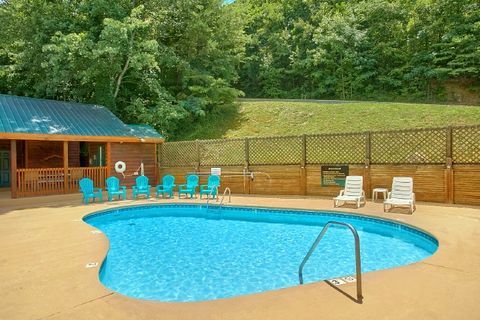 In the summer, spend days lounging by the resort pool for a fun-filled mountain summer day with sweetie. 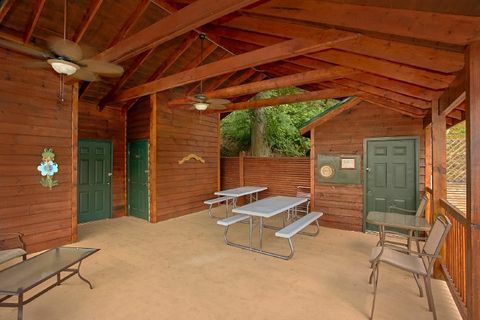 Cook a romantic meal for two in your cabin's fully equipped kitchen or outside on the gas grill. 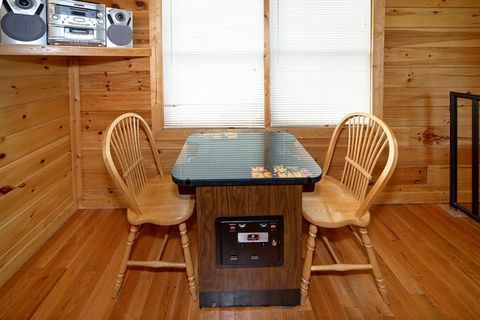 Afterward, enjoy some playful competition with few games of pool or set the high score on Ms. Pacman while listening to your favorite songs on the stereo. 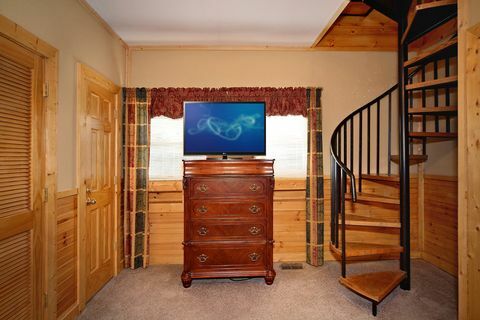 There’s plenty to love near your cabin as well. 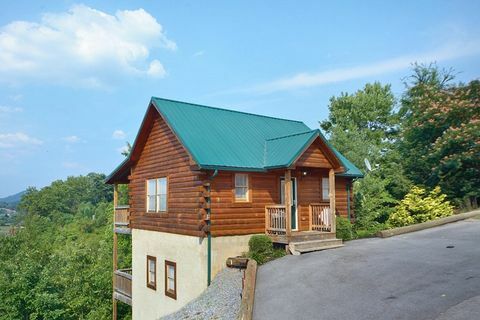 Your romantic cabin near Gatlinburg keeps you close to the attractions, shows, and restaurants in Pigeon Forge and nearby Gatlinburg. 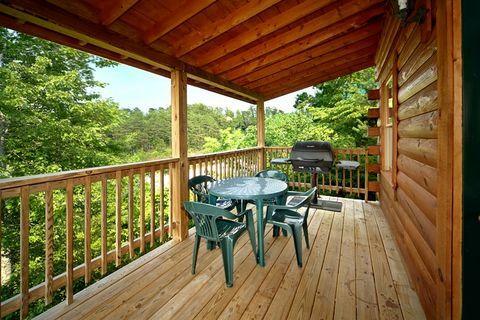 Whether you want to shop at The Island or take in a fun dinner show with your sweetie, your cabin places you close to it all. 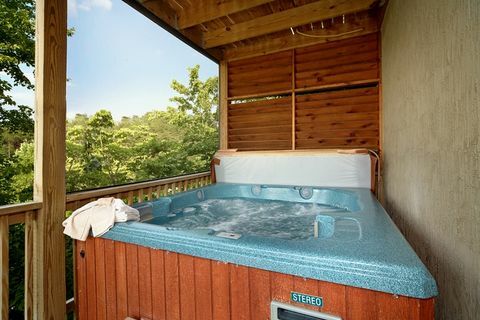 SAVE when you book "Royal Romance" or another honeymoon cabin near Gatlinburg online and get ready to escape on a wonderful romantic retreat to the Tennessee Smokies!